Yum, thanks Coles for bringing us British style bacon! It’s all about the little things in life isn’t it? 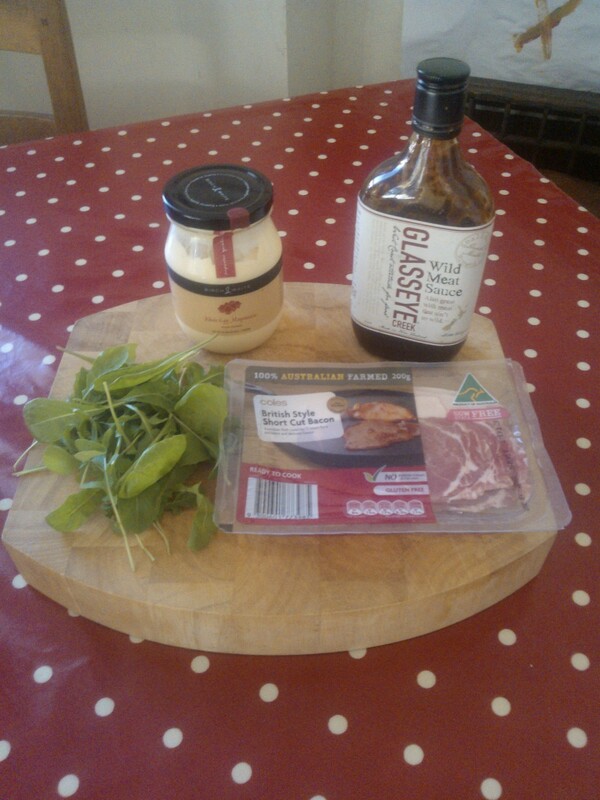 I paired it with divine Birch & Waite mayonnaise and a scrummy smokey bbq sauce from NZ that I found at Northside Produce Market last month and home-grown rocket. Absolutely delicious! Pork rashers are thick slices of pork belly so of course are not exactly a diet food…but they are great cooked slowly for a long time until they are falling apart . I chucked this recipe together out of things I had in the cupboard. It is tangy but rich and comforting. 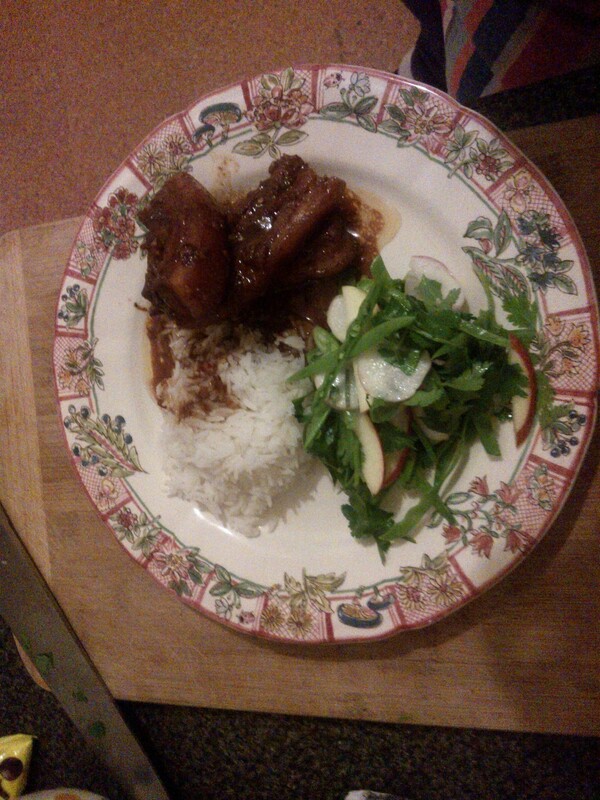 We had it with rice and a salad of apple, spring onion, snow pea (manage tout), mint and coriander. Perfect Friday night food. Mix all the sauce ingredients together in a large bowl. Add the rashers and marinate for as long as you like! Transfer the contents of the bowl to a roasting line lined with foil. Cook in a medium – low oven (about 150 degrees) for about two hours, checking regularly to turn them over and submerged equally. They are ready when the sauce has thickened but not caramalised too much (that’s why you line the tin – I had to chuck one out once) and the pork is falling apart. Depending on how fatty they are some oil will come out of the rashers – skim this off as you go. Serve with rice and a fresh herby salad.